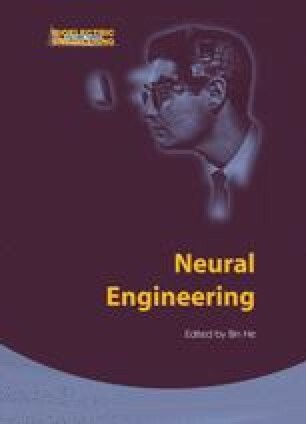 The major thrust of this chapter is on neural signal processing in the central nervous system (CNS). In order to establish the framework for this discussion, it is instructive to look at the biological foundations, from single neurons to the peripheral nervous systems, because these are important building blocks and provide input and output signals for the complex neuronal structure of the CNS. Section 6.2 gives an overview of biological structures and historical discoveries. Section 6.3 examines signal processing in the single neuron and how it contributes to the complex network of signals. Examination of the function of the central and peripheral nervous systems depends to a large extent on time series analysis. Basic techniques are summarized in Section 6.4. Section 6.5 describes the peripheral nervous system as input and output media for the CNS. Section 6.6 describes methods for analyzing signals emanating from the CNS. Section 6.7 discusses the use of signal analysis in the diagnosis and treatment of neurological disease. Because of the complexity of signal analysis, its use in diagnosis of disease is dependent on higher-order decision models, which are described in Section 6.8. Finally, Section 6.9 describes current frontiers of signal analysis and prospects for the future.